The TBB editorial team recently announced our shortlist for LEGO Creation of the Year, but what do you our readers think? Over the course of the year, you let your mouse clicks do the talking, and it’s clear that you felt the same way about many of the best LEGO creations we highlighted. Based on clicks, likes, shares, and other stats, here are the top 10 most popular LEGO creations featured on The Brothers Brick in 2016, as voted by you! 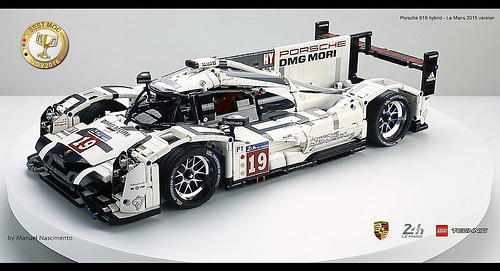 Manuel Nascimento honored the winner of the 2015 24 Hours of Le Mans race with this gorgeous Porsche 919 built from LEGO Technic pieces. 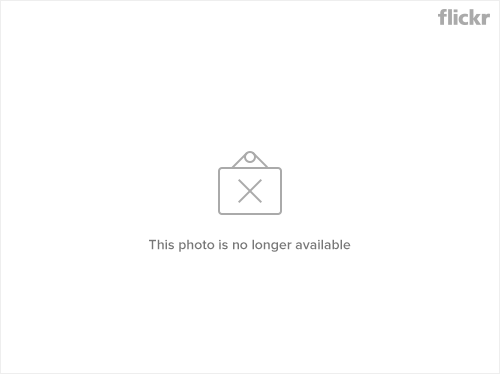 Manuel’s Porsche sports custom stickers, and has numerous working features. We visited Seattle-area LEGO builder Mark Neumann’s home and interviewed him about his massive spaceship, which features amazing detail, working lights, tons of minifig action, and various support craft. 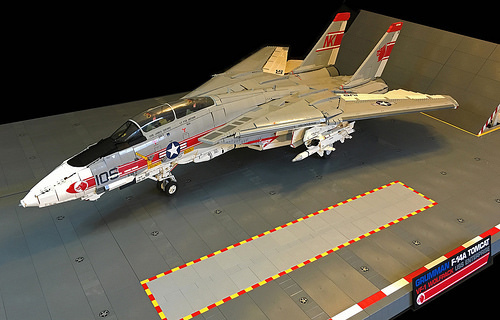 British builder James Cherry one-ups even our own master aircraft builder Ralph Savelsberg with his massive US Navy F-14 Tomcat fighter jet. James used LEGO Power Functions to create working variable sweep wings and control surfaces, and spent nine months assembling the 8,000 piece LEGO creation. Japanese builder talapz created a folding LEGO version of the iconic “White Egret Castle” in western Japan, recently brought to life in LEGO by Ryan McNaught’s team as well (though Ryan’s version doesn’t fold up). 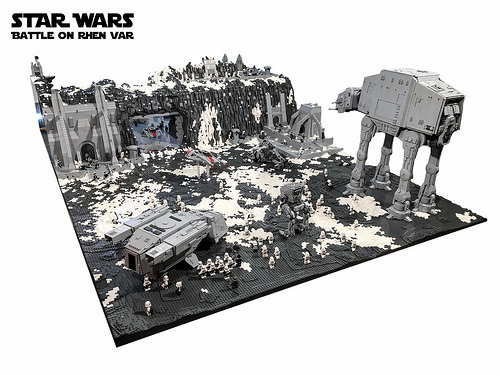 Most fan-built and official LEGO Star Wars AT-AT walkers are far too small. Not so with this 5,000-piece monstrosity by Noah. You’d best scramble your puny snowspeeders, Rebel scum! 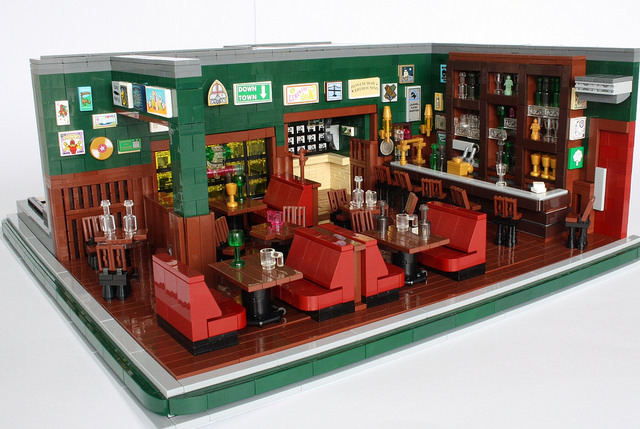 While a few minifigs might have improved this scene by speedyhead, that didn’t deter readers from making this the fourth most popular LEGO creation featured on TBB in 2016. Most LEGO Star Wars creations we feature here on TBB are from one of the movies, but Markus has built a massive battle scene from the video game Battlefront. Markus used 250,000 LEGO bricks to recreate the scene, complete with massed minifigures, vehicles, and a detailed interior. 2. Silly readers, bookshelves are for displaying LEGO! In what is sure to come as a surprise to our humble friend Alan McMorran, his ingenious modular buildings spanning bookshelves in his home office takes the #2 spot in our list of most popular LEGO creations of 2016. Alan integrates his display of official sets on either side with a lovely span of custom buildings. Technic is making a clean sweep of each of the categories on TBB this year — most popular news item, most popular LEGO set review, and most popular custom LEGO creation as well. 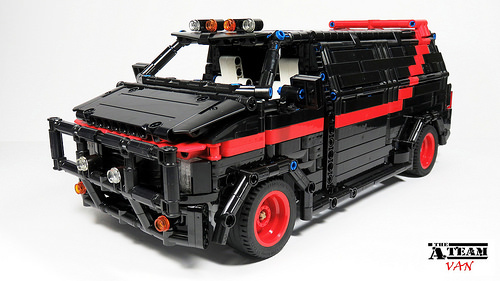 This LEGO Technic A-Team van by Chade is remote controlled, with working lights, powered doors, and more. Combining high nostalgia, working features, and a solid design, Chade’s van was our most popular LEGO creation of the year! But wait, there’s more! 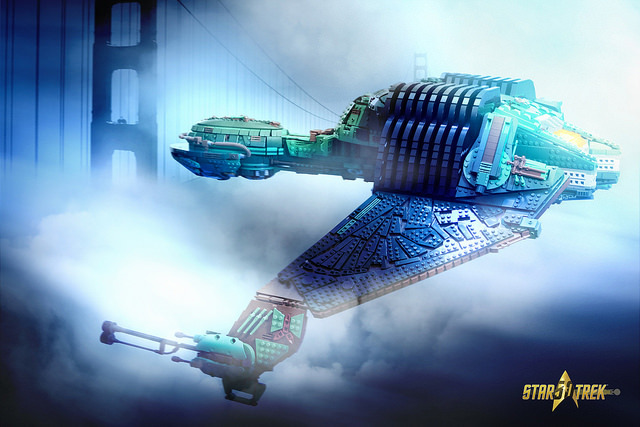 Decloaking itself and blasting past the rest of the list at Warp 5, after we’d already put together this post, Kevin Walter’s fantastic Klingon Bird of Prey takes the top spot for the year. Kevin spent six years designing and redesigning the model digitally before finally assembling all the necessary pieces to build it in real brick. 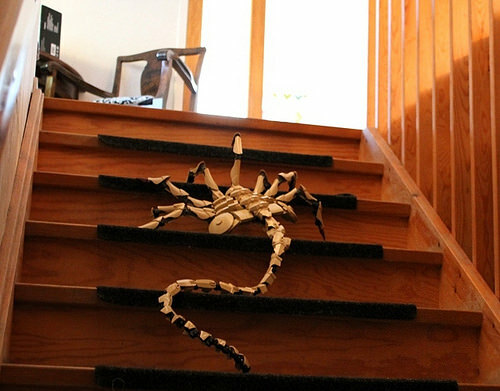 A well-deserved top spot for a top-shelf LEGO model.